In this nonprecedential decision by Judge Chen, the Federal Circuit has partially-vacated and remanded – finding that the Board (PTAB) had failed to explain its obviousness decision. First, the Board must “make the necessary findings and have an adequate ‘evidentiary basis for its findings. '” [Quoting In re Nuvasive (Fed. Cir. 2016), internally quoting In re Lee (Fed. Cir. 2002)]. Second, the Board “must examine the relevant data and articulate a satisfactory explanation for its actions including a rational connection between the facts found and the choice made.” Id. Thus, although a low standard, the PTAB must have at least a rational basis for connecting the evidence to its factual findings. In its analysis, the Board must also consider counter-arguments. In this case, the Board “failed to articulate any reasoning for reaching its decision” as to claims 3, 8, 14-15, 17, 19 22-32, and 34-36. (emphasis in original). Considering the PTAB Decision [IPR2014-01278-FWD-20160121], the Court looks to be absolutely correct that it fails to particularly explain the invalidity of these claims. There continues to be an internal debate within the Federal Circuit on how the PTAB should handle IPR Failures by the PTAB. Here, the court vacated and remanded for further consideration. Other panels have simply reversed without providing the PTAB opportunity to correct its errors (if possible). Focus on Procedure: Judge Chen’s decision here was careful to focus on procedure since the substance is almost totally lacking. The ‘222 Patent’s Claim 1 is directed to a communications system whose invalidity was easily affirmed by the Federal Circuit. Disputed Claim 3 depends from Claim 1 and adds the requirement that “communications between individuals comprise telephone calls.” Without any prior art, one skill in the art of communications systems would find it obvious to use a telephone to communicate. Further, the actual prior art relied upon by the Board (U.S. App. Pub No. 2004/0081296) discloses telephones for this purpose. All this also helps to explain the remand. Ok everyone, anyone want to try an exercise with me? The prior art out there discloses 3 different types of plastic (A, B, and C) for use to make cases for glasses. The prior art also discloses plastics A, B, C, and D are used for notebook covers, keyboard dust protectors, and cell phone covers. There is a patent application that for a new glasses case that uses plastic D.
Someone explain in the detail as the Fed. Cir. requires that the patent application is obvious. Second piece of art teaches that A/B/C/D are substitutable materials for protective covers for a diverse group of manufactures. First piece teaches that A/B/C are substitutable materials for making a case that protects eyeglasses. Particularly when first piece of art is older, it seems straightforward to argue that one skilled in the art would recognize that the second piece teaches that A=B=C=D generally for protective purposes, so if A/B/C could be used for a case for glasses, then D could also be used successfully. That’s the prima facie case. Covers can be made out of plastics A, B, C and D.
A glasses cases can be made out of plastics A, B and C.
It would be obvious to try D.
Yup finite numbers of possibilities with a reasonable degree of success in one of them working. Considering all four work for notebook covers and prior art teaches that 3 out of 4 works for glasses, it stands to reason that the other works for glasses as well. Art is also predictable. Notebook cover arts is no biochemistry. Was this supposed to be like a hard/trick hypo or something J? Whatever you were trying to get at is lost on a few of us it seems. But really, the first lesson of obviousness analysis is that you need a reason to combine. MM didn’t present one (he just says “D could also be used successfully”). Ned didn’t present one (he just says “[i]t would be obvious to try D”). And Quasar, while your obvious-to-try allegation is more than a mere conclusory statement, it still has two fundamental flaws. The first flaw is that your reasoning conveniently assumes that there are a finite number of possible plastics. In fact, there is no evidence to this effect. An unrelated example should drive this point home: if I said that Honda Pilots come in blue and in white, would you assume that Honda Pilots do not come in black? Of course not. Applying the same logic here, although the prior art establishes that A, B, C, and D are used as material for notebook covers, there is no reason to think other plastics are not possible choices for that purpose. And without reason to think that there is a finite number of options to try, the ordinary artisan would have no reason to use the obvious-to-try brute force attack. The second flaw is that you’ve misapplied the obvious-to-try rationale. Even where there are a finite number of options that could be selected for some purpose, KSR tells us that it is only obvious to try them all “[w]hen there is a design need or market pressure to solve a problem” by doing so. KSR v. Teleflex, 127 S. Ct. 1727, 1742 (2007). MM, Ned, and now you Quasar have all failed to articulate a any design need or market pressure to solve some problem by tinkering around with the plastic for making glasses cases. Ergo, it would not be obvious to modify the prior art glasses cases to arrive at the claimed invention. I see a lot of the “could have must mean would have” type of thinking and wonder if this is some type of contra-positive offshoot of a thinking along the lines of a lack of explicit teaching away must mean that what is not taught away from must be obvious. The portion of Personal Web Technologies v. Apple that you cite refers to the following paragraph. You need to replace it in context. supported by evidence and explanation, on two points. 8 PERSONAL WEB TECHNOLOGIES, LLC v. APPLE, INC.
PiKa, how does the addition of the paragraph that you add change the context of the discussion here? Yes, there is no requirement for a finding of motivation to combine. KSR cites a precedent involving a paving machine and a heater to illustrate this point. That is most definitely NOT in the addition of the paragraph that you offered. If you now want to expand upon and add to what you said previously, I will take that as an admission that what you said previously was insufficient to support what you are now saying. As for the Anderson’s Black Rock case (see link to supreme.justia.com – a Justice Douglas decision, which invites doubt at the onset as to the proper application of the law), that case most certainly does not hold what you claim it to hold. indicate that the question of motivation to combine simply was not before the Court, as the combinations were ALREADY present. Beyond that, this is a case which highlights some serious Broken Scoreboard hand waving (the bit about mere codification is factually incorrect), and the bit invoking the Constitution is itself quite meaningless as to the necessary logic to arrive at the decision (the epitome of wayward – and dangerously wayward dicta). Sorry PiKa, your (expanded) point is just not made. Pika, the Supreme declared the combination of Anderson’s to not even be new as it added nothing to the nature and quality of the radiant-heat burner. Something that is not even new has to be obvious. This is an excellent impersonation of the CAFC’s recent obviousness decisions. I’m disappointed that Ned hasn’t responded. Well if I were the PTAB, I would say something like this: it appears that plastics A, B, C are useful for both covers and for glasses cases. If a skilled artisan is presented with plastic D that is useful for covers, that skilled artisan would have good reason to believe that plastic D would also be useful for glasses cases. But I agree that the prior art must generally present a problem for which the invention is a solution, or must present evidence that the alternative ingredient was known to be useful in the application. For the latter point, I reference Hotchkiss v. Greenwood where it was known that clay was useful in doorknobs. Thus it was not invention to use clay in the particular doorknob. The variation here is that one of ordinary skill in the art, from the examples, would know that plastics that are useful for covers generally are also useful for glasses cases. Thus one of ordinary skill in the art would know plastic D would be useful for glasses cases because it was also useful for covers. Please try again and this time actually address the points raised by Easwaran. All that you have done is repeat your original post, without taking any heed of the counter point presented. As such, your reply is nonresponsive and just not helpful. I think I did anon. There has to be a problem in the prior art – or usefulness of the particular combination was known. You may think that you did, Ned, but you did not. Contrast what you first said with the reply by Easwaran, and then try to find the difference between what you then repeated that actually addresses the point advanced by Easwaran. Ned, anon is correct on this. A stopped clock is right twi- hmmm, that’s off by several orders of magnitude. An abandoned leap year calandar is right once every 28 years. KSR tells us that it is only obvious to try them all “[w]hen there is a design need or market pressure to solve a problem” by doing so. KSR v. Teleflex, 127 S. Ct. 1727, 1742 (2007). You really misrepresented the KSR decision here, and I don’t know if you were being careless or you are lying. No where does it suggest that the ONLY way you can prove obviousness is to show there was a market pressure to solve a problem. I am wondering if the Fed Cir requirement is really practical. Notice that arguments that this is obvious get taken down a bit. but why would one seek to use D? mike, as pointed out, Ned’s “obvious to try” remains unmoored from a critical analysis. Thanks J for kicking off a neat discussion – your views….? 3) So why require detailed conclusions? I think the Judge Chen’s decision requiring conclusions is really taking power of the PTAB away and shifting it to the Fed. Cir. Beautiful illustration. The pros here have demonstrated the absurdity of the PTAB that allows endless second guessing of the issuance of a patent. It’s impossible to have an objective determination of whether something is obvious or not. It’s still going to spark an argument. . Exactly. We have to make up our minds where we want to do patent examination. At the Federal Circuit, at the PTAB, or before issuance. You seem to be sold on the idea of examination by PTAB after issuance. I say the PTAB should respect the judgment of the examiner unless he made a clear error, rather than continuing to argue it. The USPTO has chosen instead to promulgate rules that de facto move examination of valuable patents to the PTAB. Perhaps this is a good idea (I think not), but it was sneaked in the back door without study or public debate. If this radical new patent system is warranted, the USPTO must 1) cease calling the original certificate a patent, 2) advise applicants that a patent costs several million dollars and a decade or more to secure. This is not the historic system under Article 1, Section 8. We should have an honest debate about it. I’m inclined to give deference to the examiner, but the PTO doesn’t have perfect discovery of the inventions that are out there. The diversity of inventive pursuits and of modern technology counsels against confining the obviousness analysis by a formalistic conception of the words teaching, suggestion, and motivation, or by overemphasizing the importance of published articles and the explicit **1732 content of issued patents. I don’t know about the wisdom of placing this in PTAB, but I would disagree that a Court couldn’t overturn the examiner’s decision on obviousness. I do not think that you are addressing his point, J, of where examination takes place. But that view negates what examination means – and necessarily deprives the meaning of what a granted patent is. Why bother AT ALL if according to you the examiners simply cannot examine properly? I do not think your last comment changes things – even though it may appear on the surface to be “reasonable,” the only logic that you have provided remains the inability of examiners to examine. Inadvertently, your position best supports a pure registration system. Mind you, this would enable the Patent Office to be extremely downsized and save the innovators – the sole source of the Office funds – money to the tune of BILLIONS of dollars annually. The PTAB would be nice if it was confined only to a small period after the patent issued. What we have now is constant reexamination with no period of time where the patent owner really can enforce his or her patent. What the patent owner gets is a certificate that is hardly worth the price of the paper it is printed on. Well that I was not aware of, I thought the jury had to do more or less the same thing, though I have seen their jury forms that never really have a space for them to do much fact finding except some little check boxes sometimes. You should try to sit in on some post-verdict juror interviews. It can be mindbending. You mean they come to conclusions or find facts badly? Or skip over finding facts at all. Where there’s smoke, there’s fire. I knew they were violating the guy’s patent because they had a contract with him at one time. I don’t think their product had all the things listed in his claim, but I knew they were infringers. One of my faves: I decided they were infringing, and willfully ta boot, as soon as I heard about them there hypothetical knee-go-shee-aaay-shuns. I mean, why would they go to the trouble of having knee-go-shee-aaay-tered with the guy if they weren’t meaning to use his patent? Whew, with sht like that I’m surprised anyone really wants to go to jury trial. Although I have to hand it to him, he’s right, here in Merica we don’t bother with that kind of nonsense unless we were meanin’ to use his patent lol. If you’re the defendant in the EDTX in a complex chemical case and no one in the jury pool has ever attended college, trust me, you DON’T. But it’s not like it’s your call as to bench or jury, if you can’t settle the matter. Well, Mellow, it somewhat also depends upon the lawyers you choose. Those high paid Yankee lawyers maybe just a bit unwelcome down there in the Great State of Texas. As well, the good old folk from the Great State of Texas might be just a bit biased against foreign firms. Lot of dog whistle material there. Not that the defense would not like to litigate in their home towns for some reason — and start calling the plaintiff names, you know what I mean. I’m not sure if you’re trying to be snide or not (hard to tell with cold text), but I’ll answer you straight up. We didn’t have any “Yankee lawyers” on that team – all staffed from TX firms (nor am I a Yankee lawyer, but I’m not a litigator in any event). That didn’t help us find anyone with a smidgen of education for the jury pool. Even as plaintiff I prefer bench over jury if the defendant corp agrees (and two have in the last 10 years), and we properly sue where the competitor actually resides (i.e., in their “home courts”) or in Delaware (I think that one started as a DJ against us; it was nearly settled when I joined) rather than playing jurisdictional games to get a jury the eyes of which we can pull the wool over. In the two bench trials I was extraordinarily impressed with the Judges (and their magistrates) and the sheer amount of time and effort they committed to understanding all aspects of the case. You read stories of lazy or just plain “bad” federal judges but I’ve never run into them, although the one who made us brief and argue summary judgment without benefit of Markman (and there were many disputed terms) was irritating on that one point. I think that district has subsequently adopted local rules precluding MSJ ahead of Markman where there are disputed terms. The best part about these stories is that AAA and anon are constantly telling me about how sux the examiners are. They don’t seem to factor in the thousands of things that lead to ahem “decisions” like those you’re describing above. You do realize that your comment is a non sequitur, right 6? This has zero to do with the merits of a compleltely separate topic. Nah it’s a sequitur, it directly follows. Anon can just imagine the examiner tellin’ ‘im, “I knew that er inventin’ was entirely obv’us the moment he said he didn’t even have an unexpected result comin’ from the combo”. Has anyone else ever observed that it’s a bit odd that the world’s allegedly most innovative people — people who regularly assert that everything shiny and good is the result of their brainwork and therefore we need to give them more, more, MORE! 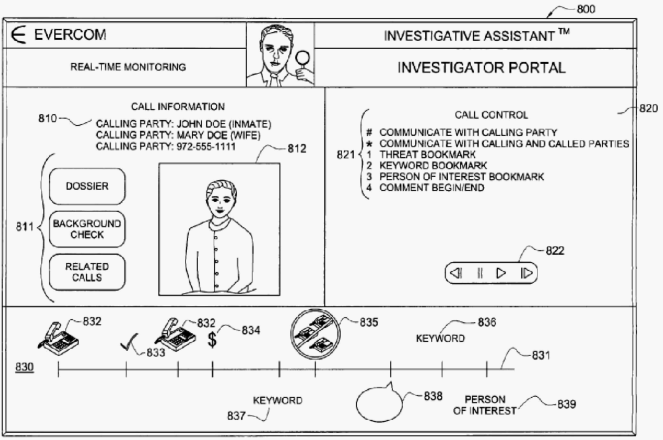 patents — are also the same people who require the maximum amount of hand-holding and “explanations” for everything? Nice strawman Malcolm – ever notice how your strawman are always against those desiring a strong patent system? This is how easy it is, folks. It seems to me that one ought to draw a distinction here between inter partes reexams and inter partes reviews. When the PTAB’s decision in a reexam is faulty, it would often be unfair to the party who prevailed below simply to reverse. After all, usually the PTAB’s failure is not the fault of the winning party, but rather rests with the ALJs. In such circumstances, remand is more appropriate than reversal. In the case of IPRs, however, Congress has set a statutory time limit for how long the PTAB is allowed to consider the matter. 35 U.S.C. §316(a)(11). Therefore, there is no statutory power for the PTAB to conduct a remand, except perhaps in the rare circumstance where the CAFC decides the appeal before the 18-month anniversary of the IPR institution (basically, never). I know that the CAFC has made a practice so far of remanding IPRs to the PTAB, but really the CAFC is wrong in this. Congress set a time limit maximum on these things, and neither the PTAB nor the CAFC is free to ignore that statutory time limit. I realize that this point about hard time limits contradicts my point about fairness to the parties. However, when Congress gives a limit, that limit must be observed—fairness to the parties be hanged. As a practical matter, the party who would usually be harmed by a no-remand rule is the petitioner, so petitioners should simply keep that in mind when deciding whether they prefer to contest validity in court or in front of the PTAB. I don’t see the connection between the time limit and the ability (or lack thereof) to choose between remand and any other choice. The time limit is there regardless of the choice, and seems like a nonsequitor. Did you leave out a part of your explanation? The statute prescribes a time limit for the PTAB. There is no time limit for the CAFC. Therefore, it is not a statutory problem if the CAFC takes more than one year to come to a decision, but once the clock runs out, there is no remaining time for the PTAB to consider the IPR. To remand to the PTAB after the PTAB’s time limit has run is to ask them to use more time than the statutory limit allows. That is a problem. An interesting thought. Has anyone tried arguing it to the Fed. Cir. before or after a remand? If you listen to the oral arguments from Microsoft v. Proxyconn, you will hear that Proxyconn made that argument in their briefs. I do not see that the opinion ever addresses the argument, but we can infer from the fact that the Proxyconn panel remanded for further consideration in view of the corrected claim construction that the panel was not convinced. DC: Judge Chen’s decision here was careful to focus on procedure since the substance is almost totally lacking. Right. And procedurally this is about as uninteresting as it gets. The PTAB is also required to refer to the patent or application number somewhere in its opinion. Sometimes they forget! So they have to fix it. The bigger story is why ridiculous junk like this is still being continually appealed to the Federal Circuit. What an incredible waste of time and money. That dust cloud is decidedly not the bigger story. Even the PTAB likes to Rule 36 things. If they agree with the petition, they simply invalidate the claims for the reasons stated in the petition. Thank goodness patent lawyers never ever refer to arguments made elsewhere. Well, it’s not unheard of for the PTAB to adopt the examiner’s findings in a decision on appeal during prosecution. But the issue here is that while an examiner is a finder of fact, neither the petitioner nor the patentee in an IPR is a finder of fact. Some sort of independent factual analysis is therefore required just to establish that there actually was a finder of fact involved in the process. Absent an adequate explanation from the PTAB, it’s not possible to know whether their decision was carefully considered or completely arbitrary and conclusory. Absent an adequate explanation from the PTAB, it’s not possible to know whether their decision was carefully considered or completely arbitrary and conclusory. Or you can just use your brain. I saw an ice cream cone on the ground. Someone could have dropped it. Or aliens could have put it there. There was no explanation! Therefore impossible to know. Your point seems reasonable. Although most of my prosecution appeals come back “examiner reversed for the reasons in appellant’s brief” – but then, I guess no fact finder is necessary to “not-reject” claims. said investigative tools module comprises a word search module to identify particular words within said communications between individuals and place event identifiers in association therewith. It’s a system that combines two prior art methods — book marking and word-searching — for the purpose of (wait for it!) performing the two methods in combination. Woo hoo! It’s 100% pure junk and everyone involved should be ashamed of themselves. But for many people (see recent threads for evidence) this is an utterly shameless profession where all that matters is that you believe your own b.s. and never let up. Let the con games begin! Go USA! Dennis: Court looks to be absolutely correct that it fails to particularly explain the invalidity of [3, 8, 14-15, 17, 19 22-32, and 34-36]. There is nothing inventive in any of those dependent claims which could be swapped out by a five year old and tanked on to a zillion other independent claims and probably already have been. There is no synergy, there are no unexpected results. They’re either limitations reciting field restrictions or limitations reciting well-known modifications (e.g., “user controls”). Dear PTAB and CAFC — you’re welcome. It took me 30 seconds to write this. Dear Patentee — thanks for wasting 30 seconds of my time with your childish whining. Information management is becoming an increasingly critical key to the effective management of institutions and commercial enterprises. News flash: information management has always been incredibly “critical” to effective management. That was true back in 1700. It was true back in 1500. Try to believe it, folks. These guys invented computer networks … in the law enforcement/prison context. Because before these guys came along nobody thought you could use networked computers in that context. Sure. That makes sense. Incredibly compelling! Line those “investors” up. Make Judge Michel proud. Look at our super shiny prisons. You really just cannot help yourself, can you Malcolm? Addicted to dust (and dust-kicking) coupled with an aversion of simply discussing actual legal issues is the hallmark of your ad hominem laced rants. If you’re trying to defend this junk, you just failed miserably. When you were born, Billy? 2010? That would explain a lot. And for the record, “anon”: you and your bff NWPA remain the poster children for the cess p00l. Nobody has sympathy for “patent attorneys” like you. And nobody ever will. Maybe you want to notice the “law” part of this blog…. Maybe you want to remember that people like me have been very successful at pushing the law where it belongs. In part, that’s because of people like you who demonstrate to everyone that you need to be pushed, and deserve to be pushed. Go ahead and tell everyone that if your claim recites “method” then it must be eligible. That’s always good for a laugh. Also good for a laugh is when you respond to that request by whining and crying like a little speechless baby at a complete loss for words. Do your dance for everyone, “anon.” It’s been a few months since we’ve seen it. Do it again. News flash: obviousness is an actual legal issue. The idea that deserving patentees are being “persecuted” or treated unfairly by the PTO is pure mythology. All you are doing is looking for excuses to keep your obvious/ineligible junk on life support for another five minutes. In a just system, applicants like this one would be sanctioned, or they could choose between being sanctioned and going home with their tails between their legs and crawling under a rock where they belong. Instead we waste the patent office’s time because whine, whine, whine. You need to first quench that dust cloud you have kicked up Malcolm in order to see the actual legal issues at point. (Other than that, your feelings are once again noted). Just a note that this case is non-precedential because the reasoning of In re Nuvasive and the like is not new.